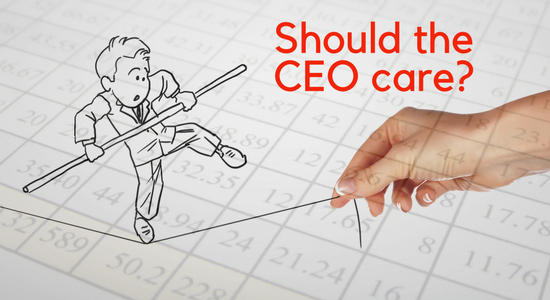 If you are wondering why you, a senior executive with strategic responsibilities, should even remotely think about something so seemingly tactical as spreadsheet risk, read on. This article discusses a series of recent cases that illustrate how a spreadsheet error can quickly evolve into a material - and public - business crisis. Was the outcome of this unfortunate series of events attributable solely to spreadsheet error? No, of course not. But that error was material. More importantly, it was the catalyst for increased scrutiny that frightened away lenders and investors - and ultimately put the company in a cash crunch. What is the Root Cause of Spreadsheet Risk? In March 2018, VBS Bank was put under curatorship (i.e. the board and executive management were removed) by the South African Reserve Bank due to large financial losses. These losses were alleged to involve fraudulent manipulation of spreadsheets used in critical business processes. In April 2018 Samsung Securities lost over $300 million of market capitalization and one of their largest customers, the National Pension Service. A simple human mistake exposed the weakness of their controls – a $120 billion data entry error became public knowledge. In the case of Conviviality, a series of acquisitions necessitated the use spreadsheets to help tie operations together while the standard, enterprise financial systems were integrated. In their hard-charging, performance-oriented culture, it’s fair to assume that controls on those spreadsheets were minimal, if any. In the end, humans are fallible and operational errors (or fraud) can take many forms. Effective controls are your primary line of defense. How does Spreadsheet Risk Manifest Itself? What can be done to improve your controls? Step #1 is to take spreadsheet risk seriously and question your direct reports. We see many firms that have written policies or standards that gather dust because no one is truly accountable. Recognize that having such policy documents can provide a false sense of security. It can probably defend you against a regulator or auditor and it can buy time needed to address their identified concerns. But it won’t protect you when there is a material error. As the Conviviality saga illustrates, material events spiral out of control very quickly. Your line of business owns spreadsheet risk. Your Operational Risk staff owns the credible challenge to the line of business's risk management efforts. Make sure they all aren't just ticking the box. Step #2 is simply to identify where these risks lie and who owns them. What are the critical processes that are dependent on a spreadsheet or an end-user (non-IT) controlled file? Most senior executives do not have a clue as to this dependency - nor should they. But someone in their organization should. Given the sheer number of spreadsheets in an organization, this identification task can seem daunting. However there are many tried and true processes (e.g., technology or consulting services) to easily accomplish the task. Knowing where this risk is and who is accountable is well over half the battle. To paraphrase Peter Drucker, you’ll get what you measure. It isn’t your job to think through how this gets done, or how the risks will be identified and mitigated. But if something goes wrong - a single key stroke error in a single file - recognize that it can be material. The impact will typically be immediate, and then you, personally, can be affected. Historically the value proposition for better spreadsheet and end user computing controls was oriented around regulatory compliance. That’s a red herring. Companies often have multiple years to correct regulatory deficiencies. It’s usually errors that can bring you down - errors in critical calculations, data feeds, forecast models, etc. And last, the remedy usually isn’t about eliminating all critical spreadsheets. The answer is better controls. Replacing a complex, functioning spreadsheet application can take months and cost hundreds of thousands of dollars. After all of that expense, the business process likely won’t improve, in fact, your agility and independence may disappear. So, in summary, the answer is better controls. That is far and away the highest return on your spreadsheet risk mitigation investment.